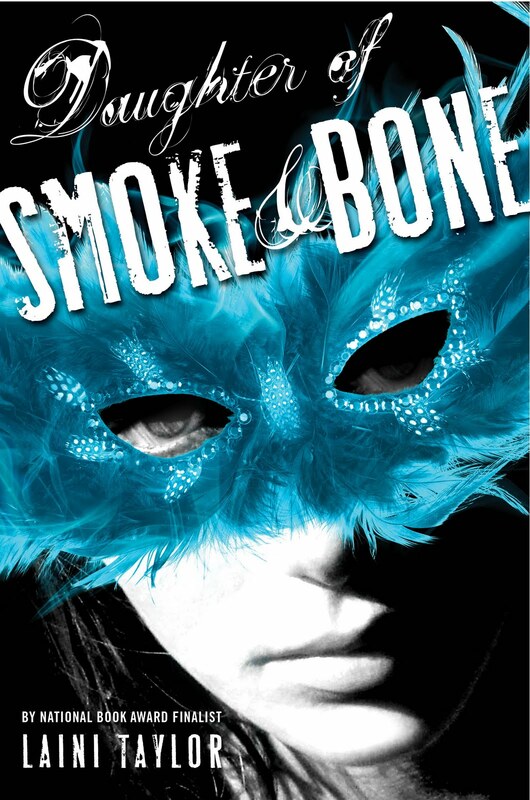 Before I begin, I just have to say: Daughter of Smoke and Bone, by Laini Taylor was one of the most creative, beautifully-written, and magical books I’ve read in a while. The words and sentences seemed to flow off the page like music as I quickly devoured the book. I’m not one for fantasy books. You know, books about vampires, werewolves, etc. But this book? This book is more than just another fantasy read. It’s about loyalty, friendship, destiny, dark magic, star-crossed lovers, rivalry, and hope. What more could you ask for in a book? From afar, Karou is a seventeen-year-old girl art student who speaks many, many languages; not all of them human. Her blue hair is so real that one may think it actually grows out of her head that color… and it does. Karou has no idea who she is and she is willing to do anything to find out. With her sketchbook in hand, she fills it with imaginative drawings of monsters. Pages and pages of monsters. What nobody knows is that every one of these monsters are real, and they are as real as family. Her father is a mysterious and dark Chimaera, Brimstone, who owns an otherworldly shop only accessible by portals disguised as various doors. Brimstone sends her on errands across the world, collecting teeth for a secret purpose. On one errand, Karou encounters an angel, and soon the mysteries of her life and her family are unraveled, with consequences both beautiful and dreadful.